UK Premier at Heeley Institute on 21st June: “I Dream of Wires” (IDOW) is an upcoming, independent documentary film about the phenomenal resurgence of the modular synthesizer — exploring the passions, obsessions and dreams of people who have dedicated part of their lives to this esoteric electronic music machine. IDOW is written and directed by Robert Fantinatto with Jason Amm (Ghostly International recording artist Solvent) serving as producer and co-writer. 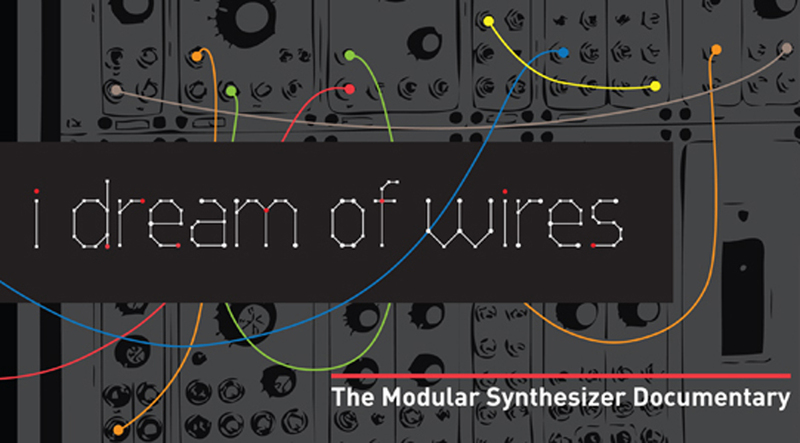 Inventors, musicians and enthusiasts are interviewed about their relationship with the modular synthesizer — for many, it’s an all-consuming passion. Established musicians such as Trent Reznor (Nine Inch Nails), Carl Craig and John Foxx show off their systems and explain why they opt to use this volatile but ultimately rewarding technology. Meanwhile, a new generation of dance and electronica artists including Clark, James Holden and Factory Floor explain why they’ve stepped away from laptops to embrace the sound and physicality of modular synthesizers. Innovative companies like Modcan and Doepfer, driven by a desire to revive modular synthesizers, discuss how they planted the seeds that have now grown into a major cottage industry. What started out as a “vintage-revival scene” in the ’90s has grown into an underground phenomena with a growing market of modular obsessives craving ever more wild and innovative sounds and interfaces. Today, the modular synthesizer is no longer an esoteric curiosity or even a mere music instrument — it is an essential tool for radical new sounds and a bonafide subculture.